I was at Michael's the other day to purchase some submersible lights. While there, I also purchased some water beads. However, I was so excited to see giant sized water beads. I hadn't seen them at Michael's before and they just happened to be on clearance. Each package was only $2.99, so I bought three. 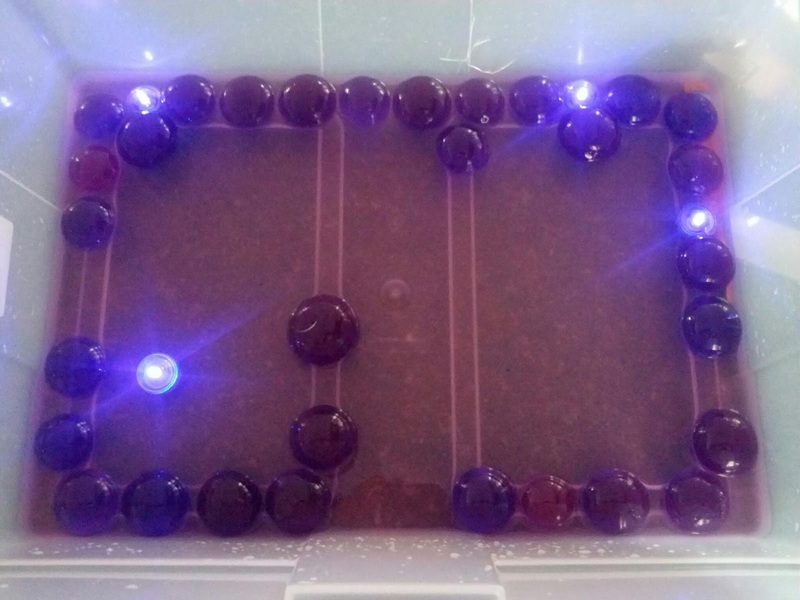 I started soaking the giant water beads right away since they take 48-60 hours to reach their full size. My niece (okay, me too!) loved to see how they transformed over the course of the 48 hours. After only a few hours, they looked like little brains with all sorts of grooves. I hadn't decided how to set up the invitation to play with these water beads. 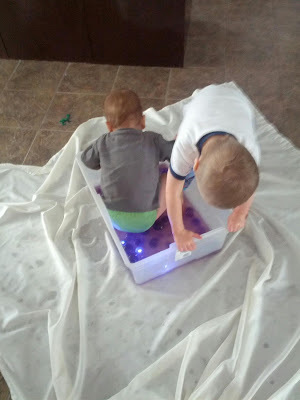 I just knew that I was going to toss them into my plastic bin and let the boys play with them. 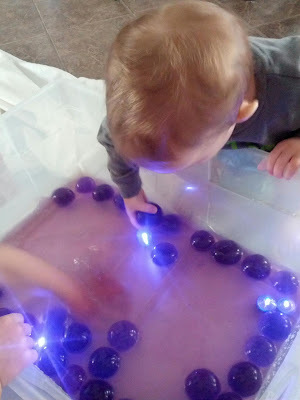 After thinking about it further, I decided to start a series of color themed sensory bins and start with purple since these water beads were purple. The invitation to explore the color purple. 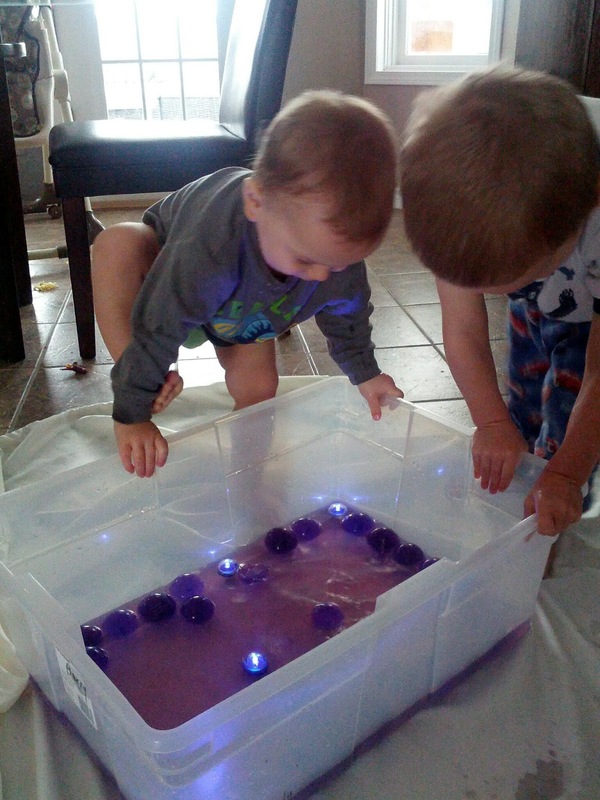 The boys were fascinated with the giant water beads. They picked them up, dropped them, squished them, and swished them around in the water. J and K also took turns stepping into the bin. They both eventually ended up naked to explore the bin further. 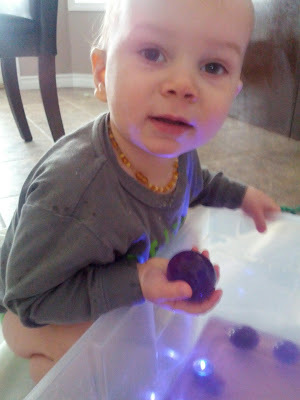 Unfortunately, I completely forgot to take K's cloth diaper off before he got into the bin so it ended up slightly stained. Drat. Most of the beads ended up being completely destroyed by J, but I did manage to save a couple for F (she was coming over later that day). 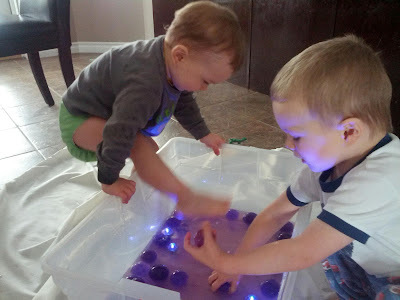 As cool as the giant water beads were, I'm not sure that I would buy them again until the boys are slightly older since they lasted all of 10 minutes before J destroyed them. 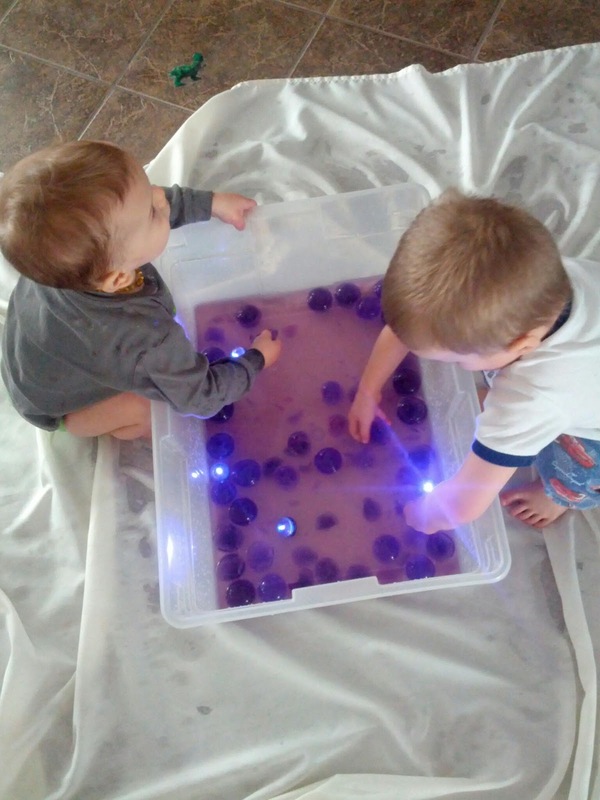 And I would prefer to get multiple uses out of water beads. Those look so cool. I haven't seen any that big. I just used water beads with a science program at my library. I had a large tub to start and ended with a small box. I don't know if it was the age of the kids or the amount of them(50+). When I've used them with preschoolers I had a lot more left over for use again. We haven't had issues with the small ones either. I have been using the same ones for two years. Hence, why I was so disappointed that I only had a few leftover to reuse. They were a lot of fun though! 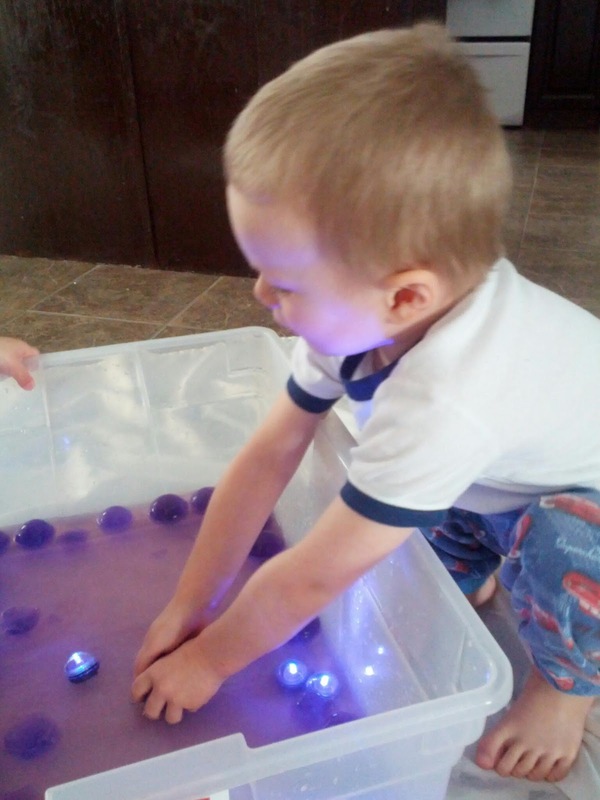 The giant water beads are so much fun! And I will be sure to check out your link.